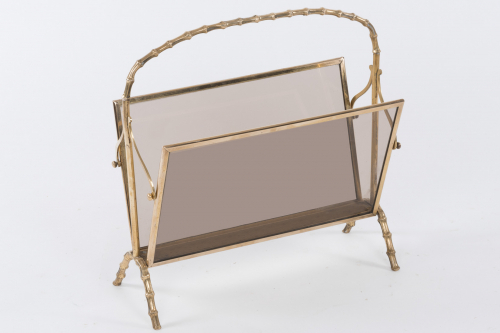 Brass magazine rack by Maison Bagues, Paris c. 1960. Faux bamboo solid brass frame with smoked glass sides. Reassuringly heavy, great looking and in very good condition.